DECT Repeater for Panasonic KX-TGP6xx series DECT phones. 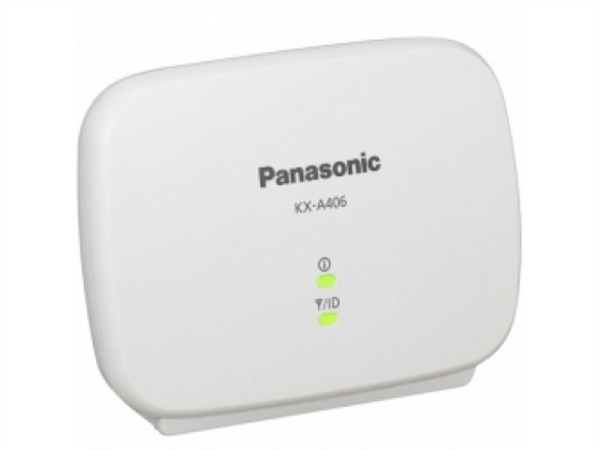 The Panasonic KX-A406 DECT repeater is compatible for use with the KX-TGP600 single-cell DECT solution. As standard the coverage area of the base unit is approximately 300m outdoors and 50m indoors, depending on the environment. Up to six KX-A406 repeaters can be registered with the base station, to expand the handset range to around 200m indoors.